Black 2 and White 2 Other Pages: New Breeding Mechanics | For when a Mommy Pokémon and a Daddy Pokémon..
Every now and then, Nintendo and GameFreak like to shake things up a little bit in a wild and crazy attempt to help justify two new games. Well, I imagine a new storyline and some new formes.. but anyway! Black 2 & White 2 are absolutely no exception to this and feature some new changes themselves. For example, in a rather interesting twist of fortune, Black 2 and White 2 prevent the breeding of eggs until after the Elite Four when you can access Route 3 (Unova), making them the first time in the main games since Gen I to be unable to breed before the Elite Four. Introduced in Pokémon Emerald, when a mother holds an Everstone and is bred with a compatible father, not including Ditto however which could only pass it down as the mother, there would be a 50% chance of the baby carrying that nature. Compared to the random "wish for the best" aspect that Ruby and Sapphire had, this seemed like a god-send. 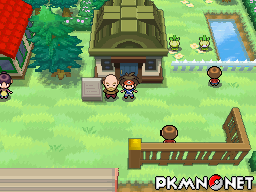 Carried through from Emerald right through to Black & White themselves, where they opened it up to allow the father a 50% chance of passing the nature down himself, this mechanic has been changed again for the better; now there is a guaranteed 100% chance of the baby Pokémon being passed down the nature that the Everstone-holding parent has! Fantastic news for those Pokémon breeders as Iâ€™m sure you will agree. In addition, if both parents hold an Everstone, each nature has a 50% chance of being passed down, thus making it far easier now to breed better Pokémon. In addition to this, they've tweaked the mechanics for the ability to finally be passed down. Since Ruby and Sapphire, whenever you bred for a Pokémon the baby would have a 50% chance of getting either ability if it had two abilities (such as Scyther with Swarm and Technician). This used to make it troublesome when breeding for competitive Pokémon as you only had a one in four chance of getting the ability you wanted and the nature you wanted at best. However, introduced in Black 2 and White 2, the ability the mother has will now have a direct effect on what ability the baby will have. Rather than a split 50/50, the ability that the mother has will have an 80% chance of being passed onto its offspring, with the other possible ability only having a 20% chance. So, for example, I've got my trusty female Scizor with Technician in the daycare with a compatible male parent, the offspring will have a 80% chance of having Technician and only a 20% chance of getting Swarm. Fantastic. However, as with Black & White, if the mother has her Hidden ability / Dream World ability, the baby Pokémon will have a 60% chance of having the Hidden ability passed down, with the two usual abilities each having a 20% chance. As with Black & White, using a Ditto to breed will never result in a Hidden ability being passed down even if it's the male. This now extends to the ability mechanics given above; if a Ditto is used, either as a male or a female, then there will simply be an even 50% chance of either usual ability being passed down. This is all fantastic, isn't it? Everstone's effect beefed up, abilities now having an increased chance of being passed down, surely GameFreak are being too generous aren't they? 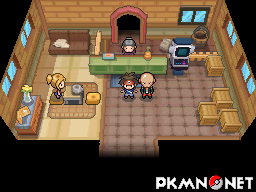 Well, simply, they must, as they've introduced some new items to aid in hatching those eggs once your Pokémon have finished dancing and given the Old Man an egg. One of the greatest tests of your patience is Pokémon breeding, always has been. You cycle around, you wait for your Pokémon to have their special moment, you receive the egg, and even with Magma Armor or the more common Flame Body, it drags on and on until it hatches and you find it doesn't have the ability or the nature you want, causing you to either sling it in a box and never think about it again, or to groan and consider throwing your DS out of the window. Luckily, Black 2 & White 2 have been very kind to us.. It is, however, worth mention that should you use an item on a Pokémon which will reduce it's step count to 0, the egg will simply hatch upon taking your next step. Specstile on Fri 07 Sep 2012 13:15:05 UTC. Richard and Blaziken on Fri 30 Nov 2012 12:49:59 UTC.